GoldenEye 007 was released on November 2, 2010, in North America; with a software MSRP of $49.99, and a Golden Classic Controller Pro bundle MSRP of $69.99. GoldenEye 007 for the Wii was developed by Eurocom, and published by Activision. 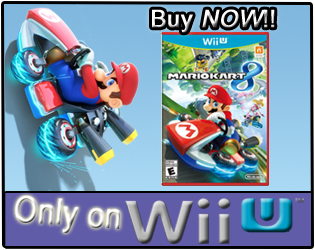 The debut game-play hours below are for the United States of America Wii owners, not world-wide. 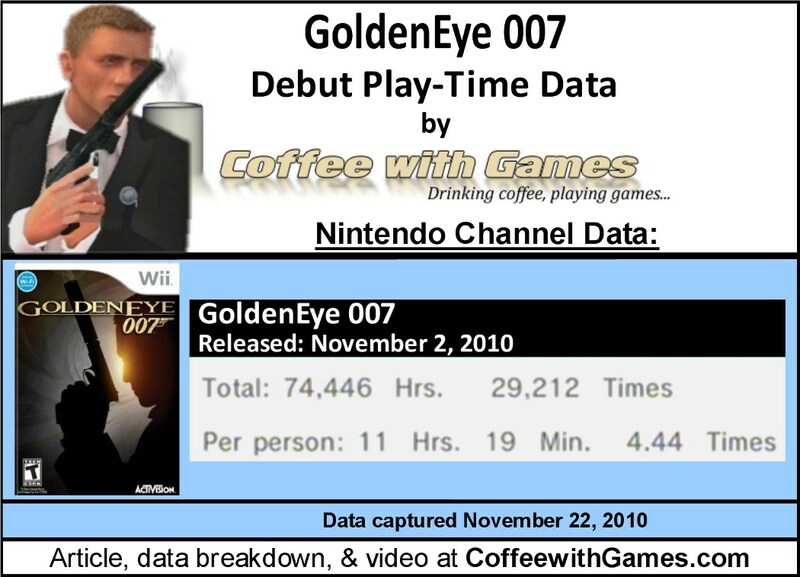 From November 2 through November 22, how many hours of espionage have Wii owners participated in James Bond's GoldenEye 007? Let's take a look! 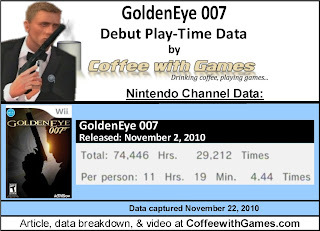 GoldenEye 007 has 6,579 Wii owners reporting their play-time data, for its debut on the Nintendo Channel 21 days after its release. GoldenEye 007 has 74,446 Total Hours of game-play reported for its debut, with an average of 11 Hours 19 Minutes "Per person" reporting data. The debut average play-time, per session, for GoldenEye 007 is just over 2 Hours 32 Minutes. GoldenEye 007's , software only, Amazon.com sale rank is #90, and is selling for $47.45. GoldenEye 007's Golden Classic Controller Pro bundle Amazon.com sale rank is #250, and is selling for $67.99. GoldenEye 007's review score average is 83.58%, based on 40 reviews on GameRankings.com. Amazon.com shows two sets of customer review scores for GoldenEye 007. I'm not sure if it was Nintendo or Activision, but somebody took longer than usual getting GoldenEye 007 listed on the Nintendo Channel. I had been checking for the last few weeks, and the game wasn't even listed, until last night. Though the game appeared last night, it didn't have any play-time data showing, until it was updated today. 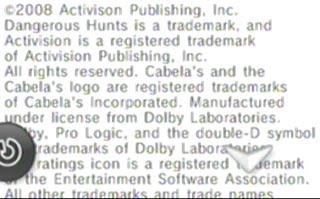 Apparently, Activision(or Nintendo) wants GoldenEye 007 to be associated with Cabela, and the Cabela hunting games? GoldenEye 007 is off to a good start with the game-play data shown, and I think the game will continue to see steady increases each week throughout the Christmas/holiday season. I have been playing GoldenEye 007 on a regular basis since I purchased it. I completed the single-player campaign back on Friday, November 5(early Saturday technically). I plan on going back and completing the single-player campaign on all the difficulty settings, but I am enjoying the online multi-player in the meantime. If anybody has any questions about GoldenEye 007, feel free to ask in the comments, and I'll do my best to answer it. If you own GoldenEye 007 and are playing it online, my friend code is 2043-7355-3797, and my in-game name is Coffee. If you own GoldenEye 007 for the Wii, what are your thoughts on it? What do you enjoy about it, and is there anything you don't enjoy about it? I'm playing it right now lol. 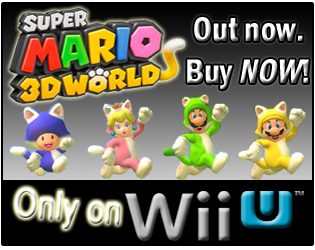 Online: Not as polished as the single-player, but still very impressive. The graphics are still decent, although, some of the animations can get kinda choppy. The leveling and XP system is great, and I like the wide selection of guns that only become available when you get to higher levels, because it forces you to play the game more and more. The game modes are the best I've seen around. Black Box, Goldneye, Golden Gun, and especially Hero Mode are all very addictive. Hero Mode is the best IMO. The perks and attachments are nice, and I love that they included leader boards and good stat tracking. The online is simply addictive. One thing that bombs about the online though, is the fact that you can't make a private lobby for a private match with friends. What Eurocom was thinking I will never know. Splitscreen: Almost as fun as the original.The way I see it, splitscreen, even in BAD games, will always be fun. The thing that disappointed me about the local multi-player though is the modifiers. There's not enough IMO. But at least the ones that are there a very fun so I got over that pretty quickly. Have you completed the single-player campaign? As for the multi-player, I agree that the lack of a private match is really strange, and I don't know how that was missed in development/testing. Yea I've completed it. I would go back and do all the objectives and times trials and such, but Im too addicted to the multiplayer right now.